Our normal crew day was 16 hours. But with an "augmented" crew (extra pilot, navigator, engineer, and loadmaster) we could fly a 24-hour crew day. And that was enough for a round-trip to Cuba. 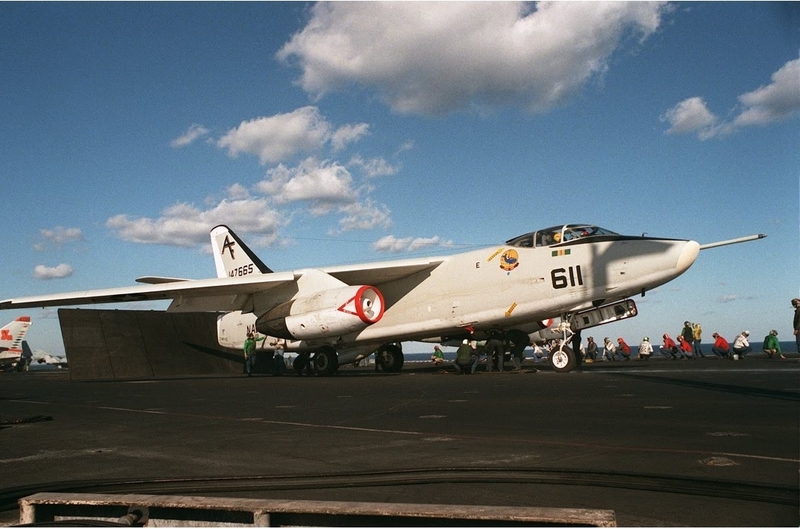 Our mission was to support a Navy fighter squadron that was rotating to an aircraft carrier in Guantanamo Bay. It was just a short hop from Travis Air Force Base to Naval Air Station Lemoore, where we picked up the squadron personnel and their baggage and equipment. As we approached Cuba, the weather worsened--low ceiling with rain showers. 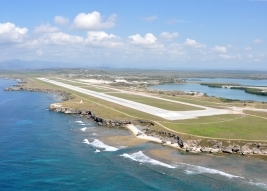 But we flew an instrument approach and landed safely at Guantanamo Bay Naval Base. The passengers deplaned and their gear was offloaded onto the ramp piece by piece. The carrier sat at anchor in the bay a few hundred yards offshore. 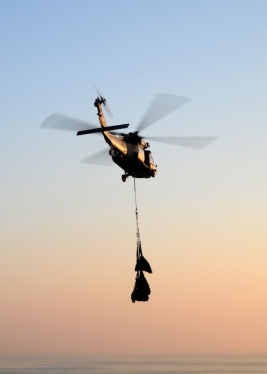 A helicopter landed nearby, filled its sling with suitcases and tool chests, and returned to the carrier. Back and forth it shuttled, flying just a few yards above the bay. Once in a while the load in the sling shifted and another tool chest or suitcase tumbled into Guantanamo Bay! Meanwhile, the fighters had spent the night at Naval Air Station Jacksonville and were flying down the Florida coast. As they approached Guantanamo, the weather went below landing minimums. Instead of diverting to an airfield with better weather they opted to hold above the weather until it improved. Even the helicopter stood down and we waited out the storm in our airplane, listening to the UHF radio. Soon the first fighter in the line declared that his fuel was running low. So Guantanamo launched a tanker to find and refuel the thirsty squadron. Shortly after takeoff, the tanker lost contact with air traffic control--apparently due to radio failure. 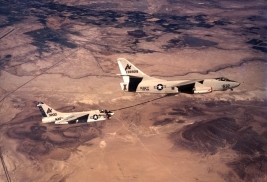 More fighters declared bingo fuel and eventually Guantanamo was able to launch a tanker with a working radio. The leader's fuel was critically low but the tanker was able to find him before his tanks ran dry. While the second fighter was tanking, the first reappeared on the radio--he had put the fuel into a tank he couldn't use! So the tanker returned to him while his buddies watched their fuel gauges approach zero. Everyone eventually made it back safely to Guantanamo, but it was quite a lesson in naval aviation operations.